Deployments to Afghanistan may be ramping down, but this year is seeing a flurry of joint exercises with some allies here at home as Marines host Canadian, British and New Zealand troops for some good ol’ combat training in the coastal areas and deserts of the Southwest U.S.
“Javelin Thrust,” a large-scale exercise with Marine Forces Reserve and 1st Marine Expeditionary Brigade, kicks off in late June with more than 5,000 Marines, many of them reservists from 32 states massing at the Marine Corps Air-Ground Combat Center in Twentynine Palms, Calif. They will joined by a contingent of Canadian troops who will work from Camp Pendleton and provide communications expertise to the brigade-level exercise. Javelin Thrust runs through July 12, with combined-arms live-fire training taking place mostly at Twentynine Palms. The Corps’ air station at Yuma, Ariz., and the nearby vast military aerial range complex also will support the exercise’s air operations. Just earlier this month, it was a British invasion, of sorts, as Royal Army artillery commandos descended on Yuma for the three-week bilateral exercise “Burmese Chase.” They joined Marines from 1st and 3rd Air-Naval Gunfire Liaison companies for close-air-support operations and live-fire training, said Capt. Staci Reidinger, air station spokeswoman. 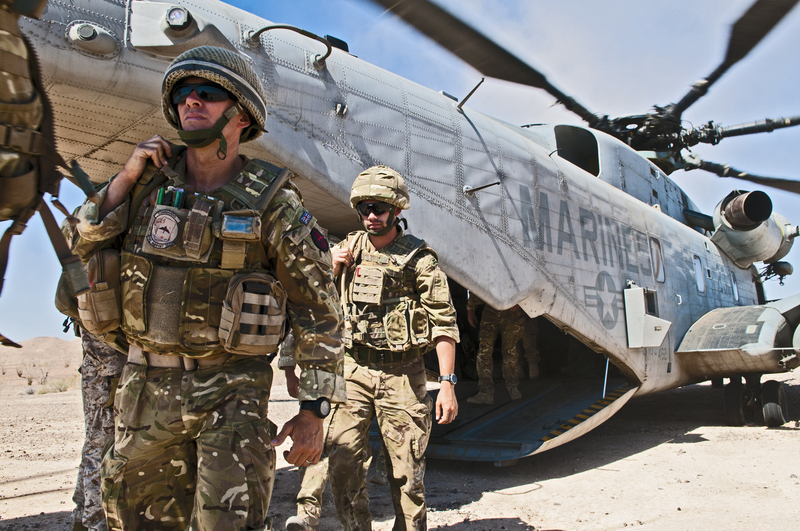 Soldiers with the 148th British Army Commandos and ANGLICO Marines also traveled to Edwards Air Force Base, Calif., jumping from Marine Aircraft Group 39 helicopters during static-line parachute operations. 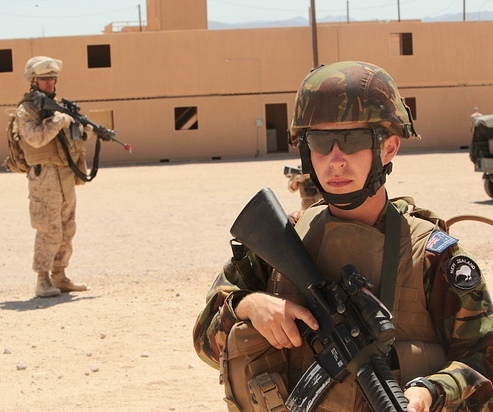 Other Marines have been in New Zealand training with the Kiwis, thanks to some recent reconciliation at the government and military’s highest levels. The Pentagon recently signed off on a renewed commitment with New Zealand, which despite being part of the ANZUS defense pact – that’s Australia, New Zealand and the U.S. – an anti-nuclear stance the Kiwis took in the 1980s led to a cooling of military relations and an end to port visits by U.S. Navy ships to the remote island-nation. But since this spring, two groups of Marines traveled to New Zealand in renewed exchanges with the U.S. military. This month, a group of New Zealand military engineers visited California to train with I Marine Expeditionary Force for exercise “Galvanic Kiwi,” marking the first time in more than 27 years both services trained together. The Kiwi troops worked with Bridge Company, 7th Engineer Support Battalion, to set up a ribbon bridge from Camp Pendleton’s boat basin, and trained in the desert with 3rd Combat Engineer Battalion Marines. Meanwhile, members of 11th Marine Regiment were in the southern hemisphere spending a few weeks blasting some land in Middle Earth in training exercises with their Kiwi partners. These foreign interactions and exchanges are part of that refocusing on the Pacific, of course. Hawaii, meanwhile, is gearing up for the biggest influx of foreign troops heading to the islands for the 22-nation Rim-of-the-Pacific exercises, which start June 29. Along with the U.S., United Kingdom, Canada and New Zealand, RIMPAC participants include Australia, Chile, Colombia, France, India, Indonesia, Japan, Malaysia, Mexico, Netherlands, Norway, Peru, South Korea, Philippines, Russia, Singapore, Thailand and Tonga. RIMPAC, which has a Facebook page, runs through early August.